Qingkou valley rice terraces, Yuanyang County, Yunnan Province, China, reflecting the early morning sky. Fantastic. I wish we (in the U.S.) would understand the value of terracing better. 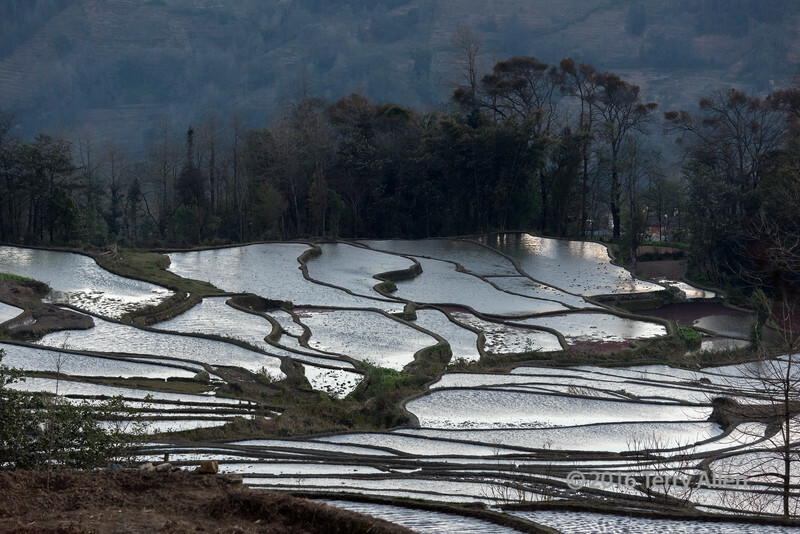 These rice terrace shots blow me away Terry. I love them and this is a great one. Photoarts, it can be hard to get sunrise and sunset reflections in this area due the hight and steepness of the mountains that block the sun until it is higher in the sky and no longer very red. Beautiful terraces, sunset reflection could do magic! Never cease to be amazed at the manual labor involved in creating & maintaining these terraces & berms.